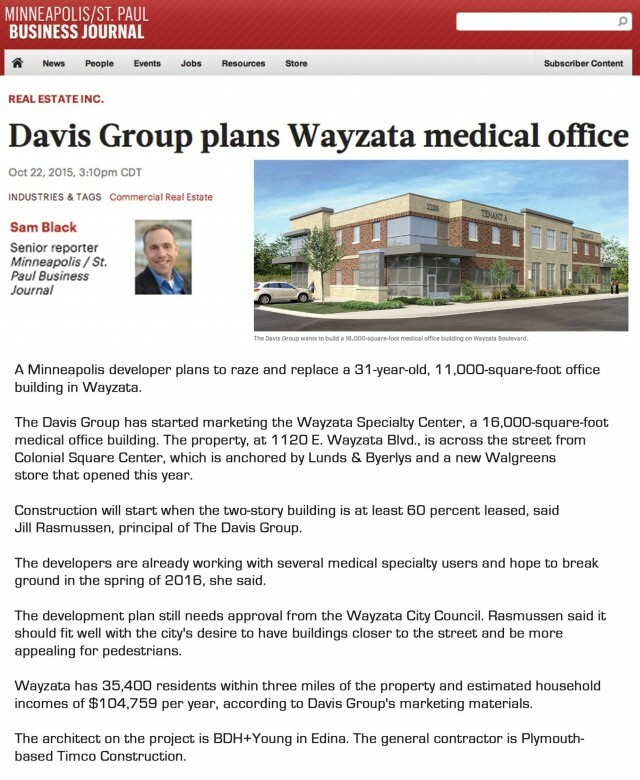 The new Wayzata Specialty Center is a 16,000 SF medical office building that will replace a 31-year-old, 11,00 SF office building. Located across the street from Colonial Square Center, this building will serve as a convenient space for healthcare providers to deliver services to patients. Davis hopes to break ground in the spring of 2016 when at least 60 percent of the two-story building is leased. The development should appeal to the city’s need for buildings that are closer to the street and more accessible for pedestrians.